Grill like the French. Faith and the gang talk to the author of the eye-popping, mouthwatering new cookbook, French Grill. 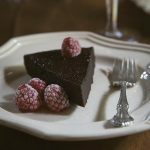 Recipes include Salmon with Tarragon Butter, Grilled Potato Salad, and a decadent Flourless Chocolate Cake (it’s grilled, too, of course!). Plus, thanks to Alex Province, we taste an affordable boxed red wine from France and eat authentic handmade tamales from Tucson, Arizona—they ship! You’ll also find out where you can recycle your wine corks in Connecticut.